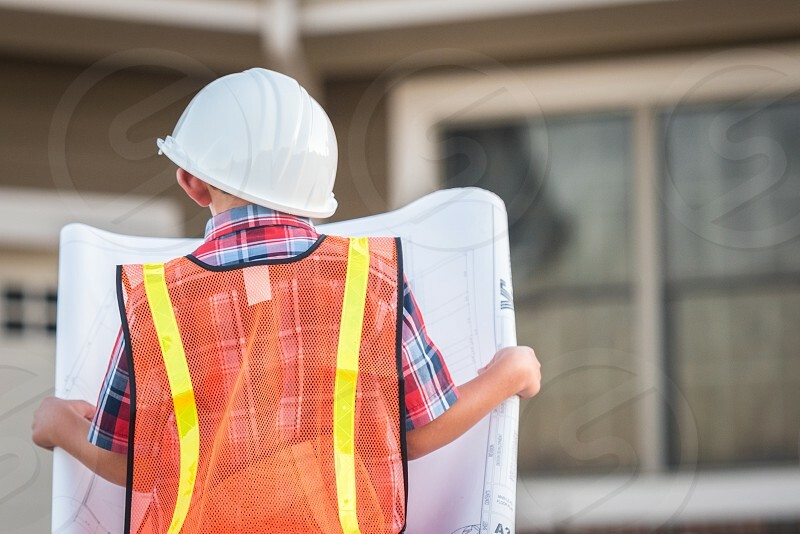 Young boy wearing oversize construction worker clothes. 7 year old. Big hat, big boots, big vest. Holding blueprints.